202 Beacon is located on the north side of Beacon, between Clarendon and Dartmouth, with 200 Beacon to the east and 204 Beacon to the west. 202 Beacon was built in 1862-1863 by contractor and builder John W. Rollins, one of six contiguous houses (198-200-202-204-206-208 Beacon), each built in the same design with all six unified by a single cornice and roof line. John Rollins and his wife, Elmira (Nutter) Rollins, lived at 85 Pleasant. Click here for an index to the deeds for 202 Beacon. On February 17, 1864, 202 Beacon was purchased by Horace Gray, Jr., a lawyer. The sellers were John Rollins and John Borrowscale, individually, and John Borrowscale and Albert Betteley as assignees in insolvency of Samuel Hazard. On the same day, Horace Gray also purchased 200 Beacon. Horace Gray, Jr., was an associate justice of the Massachusetts Supreme Judicial Court. He later would become Chief Justice of the Massachusetts court and, from 1882, an associate justice of the US Supreme Court. He was unmarried and lived at 4 Mt. Vernon. By 1864, 202 Beacon was the home of William Thwing and his wife, Louisa (Payne) Thwing. They previously had lived in the Longwood district of Brookline. William Thwing was a ship owner and shipping merchant dealing in the West India trade. The Thwings’ sons, William Leverett Thwing and Eben Vasmar Thwing, lived with them. They also were shipping merchants, partners in their own firm. The Thwings continued to live at 202 Beacon in 1868, but by 1869 had moved to 7 Newbury to live with their son-in-law and daughter, Arthur and Elizabeth Eckley. On October 23, 1868, 202 Beacon was purchased from Horace Gray, Jr., by Harvey Jewell. He and his wife, Susan A. (Bradley) Jewell, lived at 204 Beacon. Harvey Jewell was a lawyer. He served as a member of the Massachusetts House of Representatives in 1861-1862 and again in 1866-1872, serving as Speaker of the House from 1868 to 1872. On November 3, 1868, 202 Beacon was acquired from Harvey Jewell by Louisa C. (Bartlett) Palfrey, the wife of Francis Winthrop Palfrey. They previously had lived at 241 Beacon. The Palfreys continued to live at 202 Beacon during the 1879-1880 winter season, but had moved to 255 Beacon by June of 1880. On December 20, 1880, 202 Beacon was acquired from Louisa Palfrey by her father, Sidney Bartlett, an attorney. He and his wife, Caroline Louisa (Pratt) Bartlett, lived at 95 Beacon. 202 Beacon was not listed in the 1881 Blue Book. On June 30, 1881, 202 Beacon was purchased from Sidney Bartlett by Anna Huntington (Lyman) Mason, the widow of Rev. Charles Mason. She previously had lived at 159 Beacon. 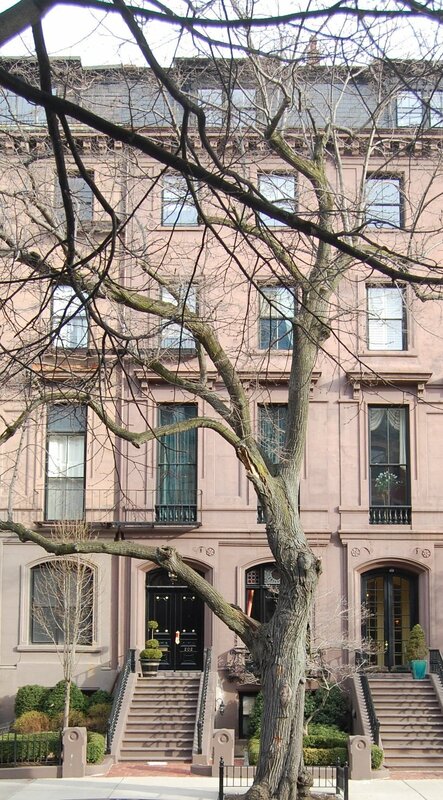 She continued to live at 202 Beacon until her death in June of 1883. On August 20, 1883, 202 Beacon was purchased from Anna Mason’s heirs by William Perkins. He previously had lived at 83 Mt. Vernon, moving after the death of his wife, Catherine Callender (Amory) Perkins, in June of 1883. He was president of the Tremont National Bank and the China Mutual Insurance Company. William Perkins continued to live at 202 Beacon until his death in July of 1887. In his will, he left 202 Beacon to his daughter, Helen Amory (Perkins) Homans, the wife of Dr, John Homans. They lived at 161 Beacon. On January 10, 1888, 202 Beacon was acquired from Helen Homans by Marian (Palfrey) Motley, the wife of banker Edward Preble Motley. They had married in November of 1887 and 202 Beacon was their first home together. She was the daughter of Francis and Louisa (Bartlett) Palfrey, who had lived at 202 Beacon until 1880. The Motleys also maintained a home in Prides Crossing. 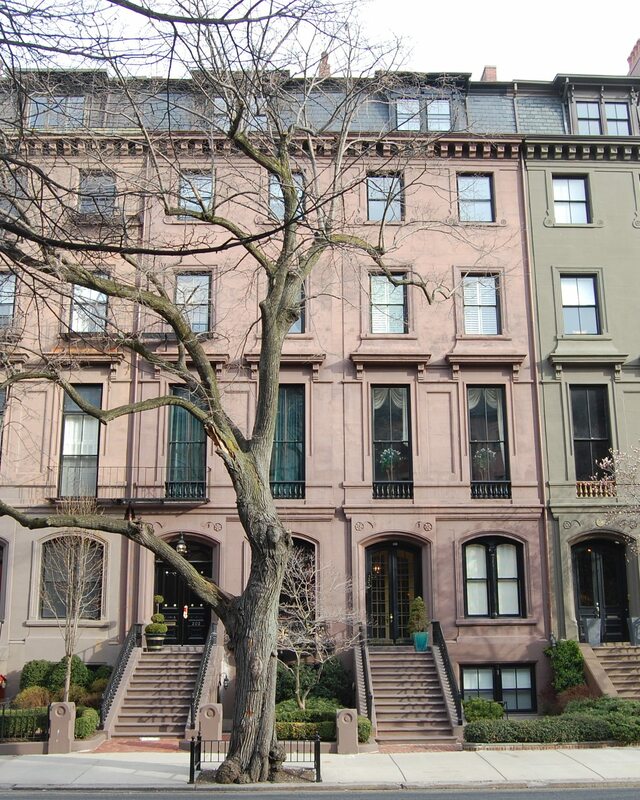 The Motleys continued to live at 202 Beacon during the 1900-1901 winter season, but moved thereafter to 97 Beacon. 202 Beacon was not listed in the 1902 and 1903 Blue Books. On March 16, 1903, 202 Beacon was purchased from Marian Motley by Blanche Belle (Walker) Pfaelzer, the wife of banker Franklin Theobald Pfaelzer. They previously had lived in an apartment at 259 Beacon. They also maintained a home in Manchester. Franklin Pfaelzer died in November of 1936. Blanche Pfaelzer continued to live at 202 Beacon until the mid-1950s. On October 25, 1955, 202 Beacon was purchased from Blanche Pfaelzer by Dr. Henry Freeman Allen. He and his wife, Emily Lamb (Tuckerman) Allen, lived at 200 Beacon, where he also maintained his medical office. In January of 1957, Henry Allen applied for (and subsequently received) permission to convert the house from a single-family dwelling into a lodging house and single-family dwelling. On December 27, 1973, Henry Allen transferred 200 Beacon and 202 Beacon into his and his wife’s names. They continued to live (and he to maintain his office) at 200 Beacon until the mid-1980s. On December 30,1986, 200 Beacon and 202 Beacon were acquired from Henry and Emily Allen by Helen J. Wollaston, trustee of the 200-202 Beacon Street Trust. On July 21, 1987, Helen Wollaston resigned as trustee and the beneficiaries — Stephen H. Furber, Leo Hamel, and Steven C. Gould – appointed themselves as the successor trustees of the 200-202 Beacon Street Trust. On the same day, they entered into a mortgage with the United States Trust Company. 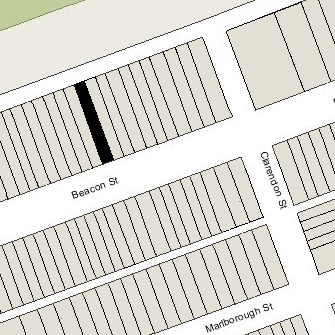 In February of 1988, the 200-202 Beacon Street Trust filed for (and subsequently received) permission to combine the two properties, with the resulting building to contain seven units, and also to construct a four-bay garage at the rear of the property. In May of 1990, the Trust filed for (and subsequently received) permission to reduce the number of units from seven to five. On October 18, 1990, the United States Trust Company foreclosed on the mortgage and transferred 200-202 Beacon to the USTC Holdings Corporation. On February 28, 1991, 200-202 Beacon was acquired from USTC Holdings by the Connaughton Development Corporation. On August 12, 1991, Connaughton Development converted the combined property into five condominium units, the 200-202 Beacon Street Condominium.